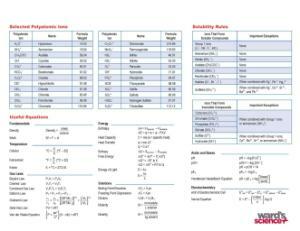 This poster is available in a variety of sizes to meet your teaching needs. 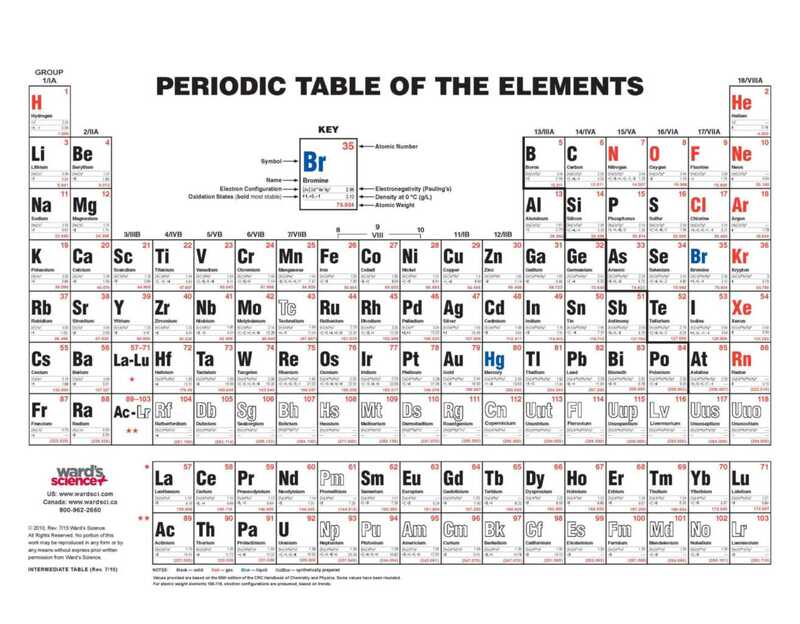 Ward's intermediate periodic tables use clear text and bright color to make the elements and key information easy to find. The symbol, atomic number, and atomic weight are large and easy to see from a distance. The element name, electron configuration, oxidation state, electronegativity, and density are smaller. Use missing information as an investigative teaching tool for your students to broaden their knowledge of the periodic table. 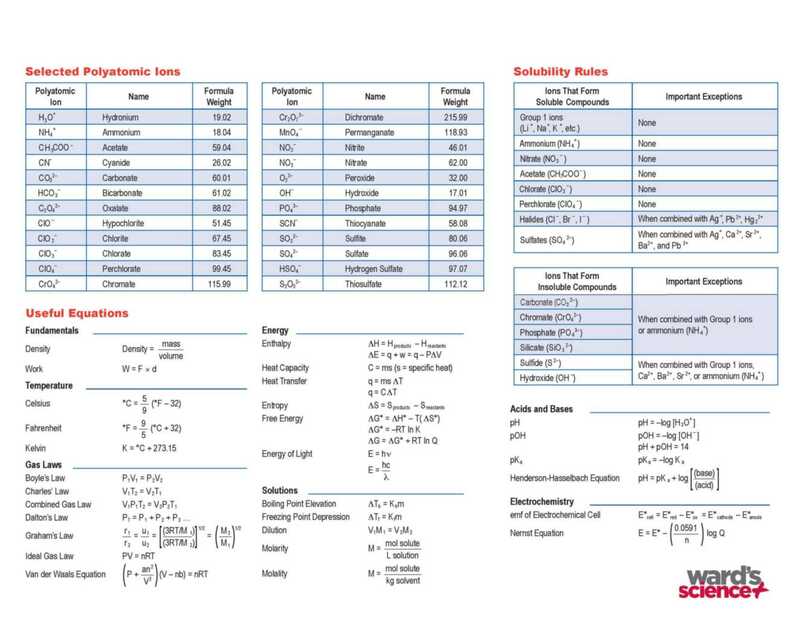 The backs of the 8.5 x 11" and 11 x 17" tables display polyatomic ions, solubility rules, and useful equations. Teachers can hang the larger tables on a classroom wall to reference while teaching.